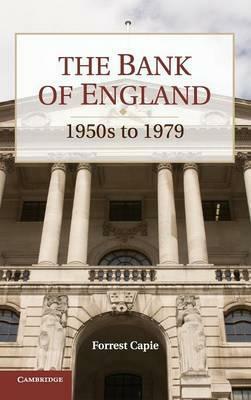 This history of the Bank of England takes its story from the 1950s to the end of the 1970s. This period probably saw the peak of the Bank's influence and prestige, as it dominated the financial landscape. One of the Bank's central functions was to manage the exchange rate. It was also responsible for administering all the controls that made up monetary policy. In the first part of the period, the Bank did all this with a remarkable degree of freedom. But economic policy was a failure, and sluggish output, banking instability and rampant inflation characterised the 1970s. The pegged exchange rate was discontinued, and the Bank's freedom of movement was severely constrained, as new approaches to policy were devised and implemented. The Bank lost much of its freedom of movement but also took on more formal supervision. 1. Introduction and overview; 2. The Bank in the 1950s; 3. The monetary setting and the Bank; 4. The Bank's external responsibilities to 1964; 5. From crisis to 'crucifixion'; 6. Domestic monetary policy after Radcliffe; 7. Other activities and performance; 8. Sterling from devaluation to Smithsonian; 9. The road to competition and credit control; 10. Competition and credit control; 11. The secondary banking crisis; 12. Banking supervision; 13. Monetary targets and monetary control; 14. The Bank and sterling in the 1970s; 15. The Bank's freedom to operate; 16. Epilogue. Forrest Capie is Professor Emeritus of Economic History at the Cass Business School, City University of London.